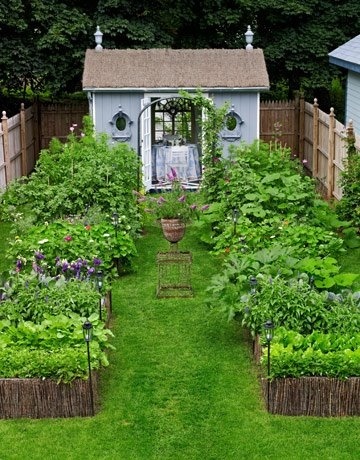 Today I am sharing some photos with you from my Pinterest board- Garden. They are photos of beautiful gardens that I want to replicate. 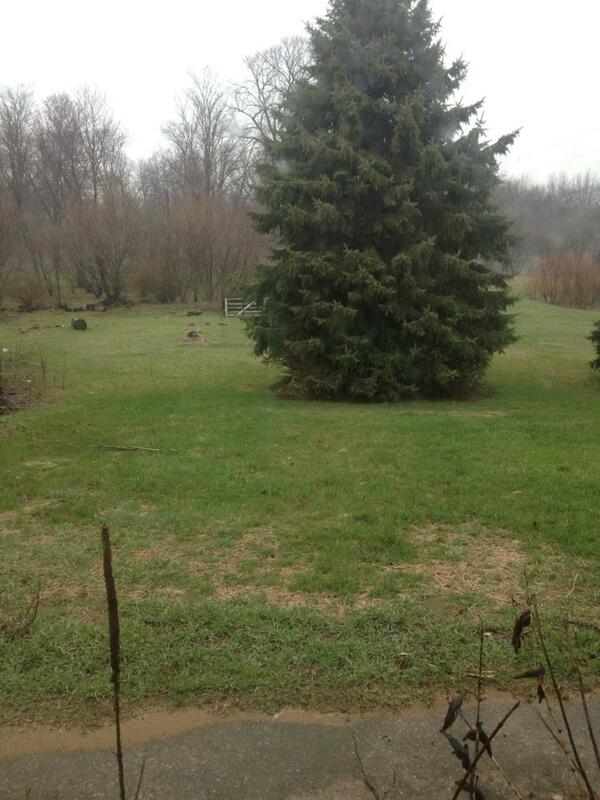 I want a beautiful garden. That is my dream. If that dream will actually come to fruition is uncertain yet. One bonus is we have lots of extra wood laying around. 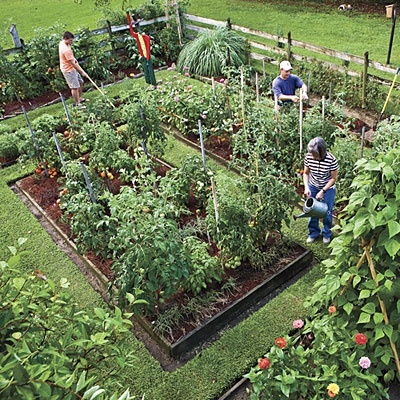 This would be helpful in building a fence and some raised vegetable beds. I want lots of vegetables. I also want some fruit. My grandma has had good luck growing melons and we love to eat them so I want to try it. I'd love to plant some raspberry bushes too. My grandma always had those bordering her pool. We would jump out of the pool and run to eat some warm raspberries and jump back in. Great memories. 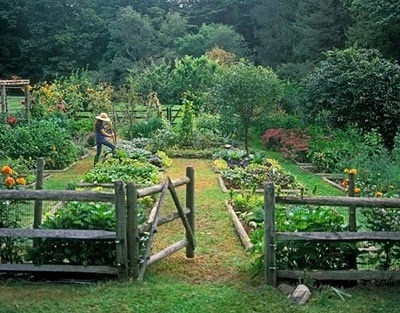 I would also love to have a cutting garden. I really like fresh flowers in the house. I want lots of hydrangeas, peonies, ranunculus, and any other beautifully layered romantic-looking flowers. How fun would that be?! I think my perfect garden would be a wilder version of an English garden. 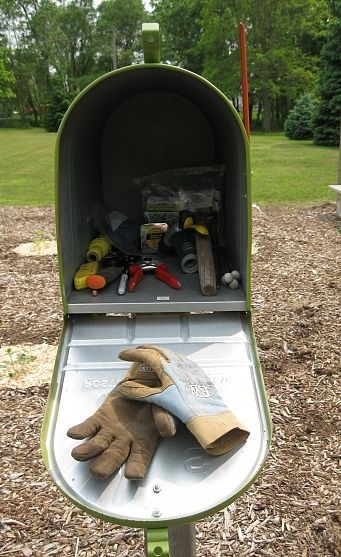 And what a great idea this is- store your garden utensils in a mailbox by your garden! Hope you were able to get outside today and enjoy this gorgeous Earth we've been given!